In 2019 the State Bank of Việt Nam has set a credit growth target for the banking sector of 14 per cent, lower than the rates of 18 per cent in 2017 and 17 per cent in 2018. Analysts attribute the SBV’s decision to the economy’s steady growth in recent times without depending much on bank credit unlike in the past. Now some major sectors like supporting industries, services and agriculture are becoming more attractive to foreign investors. Besides, many companies are now able to mobilise funds from the securities market. Others also point to a decline in demand for credit since economic growth this year is expected to be a more modest 6.4-6.5 per cent. Another important reason for the decision is that many banks are struggling to increase their charter capital to meet Basel II norms by 2020. The norms include capital adequacy as a ration of risk-weighted assets, meaning a failure to increase capital could mean reducing lending to reduce such assets. But the lower credit growth is sure to affect banks’ profits. Market observers say many lenders’ business plans, which are scheduled to be tabled at their upcoming annual general meetings, target impressive growth rates in 2019. 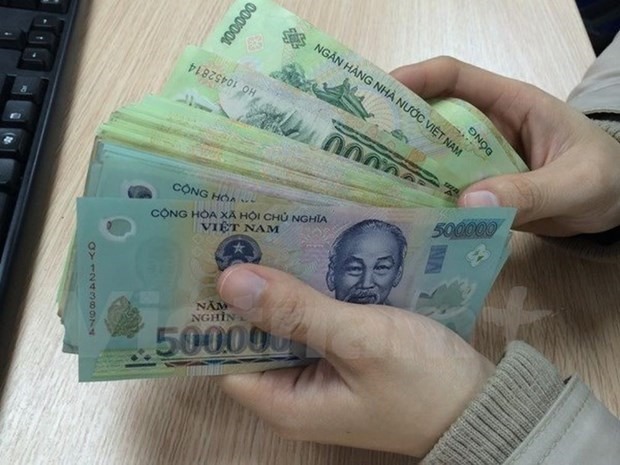 Bảo Việt Securities Company (BVSC) has predicted Vietcombank’s profits in 2019 to rise by 5 per cent to VNĐ13.24 trillion (US$575.7 million). It expects Asia Commercial Bank’s after-tax profit to grow by 11 per cent to VNĐ5.29 trillion ($230 million). Techcombank’s profit is expected to increase by 9 per cent to VNĐ9 trillion ($391.4 million). So why are they setting such ambitious targets despite the lower credit growth caps? The fact is that in recent years most banks have seen interest income decline and non-interest income increase as a share of profit. For instance last year TPBank’s non-interest income grew at 300 per cent, while for Military Bank and HDBank it was 120 per cent, mainly thanks to a boom in sales of insurance products. Analysts list four factors that could determine profitability this year: service fees; inter-bank lending, which is not covered by the central bank’s credit growth cap; reduction in risk provisioning; and prioritising customers who can bring in incomes. In recent years many banks’ revenues from fees have been on an upward trend. In 2018 ACB and MB had the highest income from fees as a ration of revenue among listed banks. ACB’s after-tax profit was VNĐ6.14 trillion, up 140 per cent from 2017. Fees accounted for VNĐ1.5 trillion, up 26 per cent. Việt Dragon Securities Company says this year the trend is set to continue. BIDV and Vietcombank are for instance planning to sell their stakes in their life insurance joint ventures and look for exclusive insurance distribution deals. Đầu Tư Chứng Khoán newspaper reports that last year the pre-tax profits of 10 big banks, including BIDV, Vietcombank, ACB, Techcombank, and HDBank, rose by 34.4 per cent though their total revenues were only up 18.4 per cent. The main reason was that they reduced risk provisioning. This is because most banks have already written down the special bonds they had been issued by the Việt Nam Asset Management Company against the bad debts it bought, and so did not have to provision for the bad debts. This year too many banks are set to reduce provisioning and lenders like OCB, VPBank, Nam A Bank, and Eximbank have expressed determination to write down the bonds. The latest survey by the central bank’s statistics and forecasting department found that credit institutions including banks were rather optimistic about their business activities this year. Of the surveyed organisations, 77.6 per cent believed their customers’ demand for fee-based services would go up this year, meaning their income from this segment would increase. Last October property Guru Group, Asia’s leading online property group, bought Vietnamese property site Batdongsan.com.vn. In July Vietnamese real estate connection marketplace Homedy.com successfully raised funding from three foreign investors, Japan’s Genesia Ventures and Mynavi Corporation and South Korea’s Access Ventures. In 2015 Homedy.com had raised funding from Genesia. A company spokesman said raising funding from outside investors, particularly foreign, helped ensure there was enough money for investing in big data. Recently a startup company debuted a real estate transaction management platform called Homehub.vn. Homehub.vn has become a strategic partner for many giant real estate developers like Novaland, Sun Group, Him Lam, and HD Mon. Homeland Group based in Đà Nẵng has unveiled ambitions to build an app using the internet and smart phones that will connect all real estate brokers with buyers around the country. The latter can also search for real estate projects that meet their requirements in a so-called real estate supermarket. Analysts say the strong growth in technology and a more open legal framework is encouraging tech firms to enter the real estate market, thus forcing property brokers to adapt. In recent years Việt Nam has been among the countries with the highest growth rates in internet and smartphone use. In 2015-17 the number of smartphone users grew by 18 per cent annually. Some 60 per cent of the country’s 95 million population use the internet and Việt Nam has the 16th highest number of internet users in the world. According to property consultant CB Richard Ellis Việt Nam, 76 per cent of people use the internet to search for information related to products they want to buy before making a decision. Of them, 74 per cent get information about property projects from websites, while 36 per cent search for information on social networking sites like Facebook. It is the rapid growth in technology use by Vietnamese that has contributed to this wave of real estate businesses using technology, experts say. Online real estate trading floors have not only helped improve liquidity in the market but also created transparency, ultimately benefiting both developers and home buyers. The former are able to reach a large amount of prospective customers while significantly lowering cost of sales.